Why emotions aren't to blame and how you can feel less 'crazy' around food. Would you consider yourself an emotional eater? Do you ever feel like emotional eating is something you constantly ‘do battle’ with? Have you ever typed ‘how to stop emotional eating’ into a google search? Well, you’re not alone and the truth may not be what you think. Emotional eating is not the problem. If you are like most clients I talk to about emotional eating you are looking for a way to stop it because you feel out of control with food when your emotions are heightened. But what if I told you that in many cases emotional eating isn’t even to do with emotions. And that in some circumstances emotional eating can be a good thing. Emotional eating can be a normal reaction to diets and restriction – if you aren’t eating enough food your body is going to start getting pretty fixated on it. This is a survival mechanism so that in times of famine you actually seek out food. The human race wouldn’t have lasted long if we all just lounged in the shade and didn’t bother to go hunting or gathering when we needed food. As luck would have it we are born with a feedback system that triggers our ‘go hunt’ drive when food is low. These days it triggers our ‘go to the fridge’ drive when we are on a diet or following food rules that restrict our intake. This is what you are actually ‘doing battle’ with everyday of a diet – not surprising that diets all end up failing at some point, you just can’t compete with your body’s inbuilt drive to survive. The perfect storm hits when you couple this drive to survive with a stressful day or a situation that has you feeling a little vulnerable. You’ve probably blamed your lack of willpower in the past or the out of control nature of your emotional eating. In fact it’s just that your inbuilt body cues just can’t be ignored any longer: cue ’emotional eating’, which is actually survival eating as far as your body is concerned. The other element to emotional eating is the ‘forbidden factor’. If you have a list of foods that you ‘shouldn’t’ eat or if you’re avoiding ‘bad’ foods because you are trying to be ‘good’ then chances are these are the ones you will reach for – no one’s bingeing on carrots when they have a bad day. The very nature of putting foods off limits will make them become more alluring. Mix this with the drive to survive and it’s no wonder you find yourself diving face first into a bowl of ice-cream. 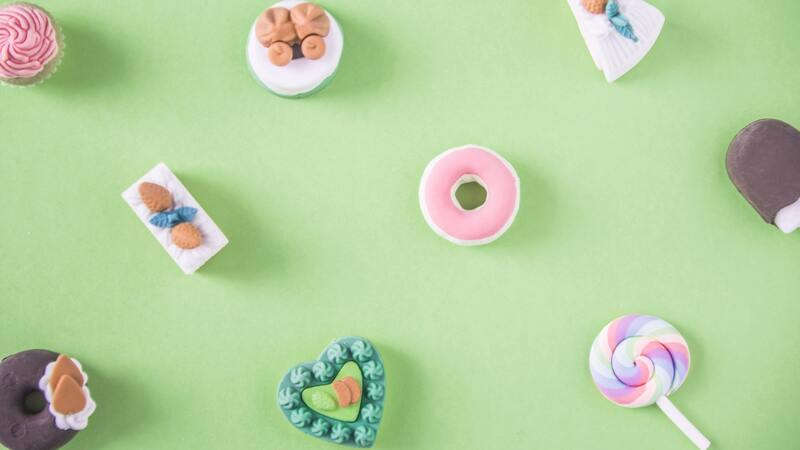 You might be starting to think that this whole ’emotional eating’ thing is actually sounding worse than you first thought but the solution is quite simple. Simple but challenging because it goes against the status quo. The key is to stop dieting, stop restricting foods, stop thinking of foods as good or bad and allowed or forbidden. Will you still eat emotionally? Most definitely, because it’s completely normal to interact with food when we are emotional. Unless you are a robot chances are you felt emotions while eating today. The reason emotional eating feels so ‘wrong’ or ‘out of control’ is because of all the food restriction rules that you are juggling in your head. Emotional eating is normal and can actually be a useful tool to help soothe us. It’s actually the most effective tool in many scenarios (imagine trying to tell a cute screaming milk drinking baby that emotional eating won’t help them). What can you do to change your relationship with emotional eating? Ditch the diet rules and calorie restrictions. Learn to listen to your in built hunger and satisfaction cues to help guide your food intake. If you give your body the fuel it needs it’s less likely to feel the need for any famine induced survival eating (or bingeing). Eat ALL the things. This helps with restriction but it also takes away the forbidden factor. The reason people don’t binge out on broccoli or apples is because they’re not a ‘forbidden’ foods. Stop trying to control emotional eating. Repeat after me: emotional eating is not the problem. Look to the factors behind the emotional eating (not the emotions as such but the restricting) and also remember that it’s OK to eat when feeling emotions (phew, no frontal lobotomy required). Build up your self care tool box. This is not to stop or replace emotional eating but to give you options when you need to take care of yourself. Sometimes food will be the best option available to soothe yourself and sometimes it’ll be something else. When you have a toolbox full of self care options (including food) you can find the right tool for the job. If you want to know more about how dieting beliefs can sabotage your weight and your relationship with food check out my free report.